Looking at it from the outside, it’s easier to see how we Americans take our right to vote for granted and — with our unique Electoral College system — assume that our individual voices just aren’t that important, especially if we live in places where the election results are foregone conclusions (whether that’s Oklahoma or the District of Columbia or any number of states in between). Whether or not an individual vote will change the outcome on November 6 is really beside the point, though, isn’t it? 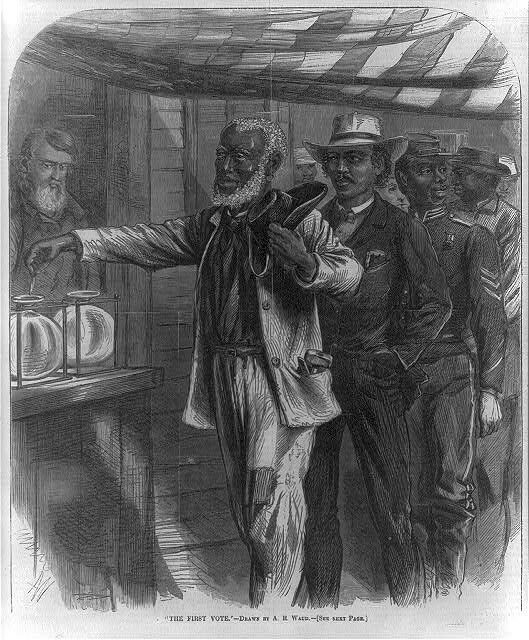 After all, the very fact that we have the right to go to the ballot box (or the voting machine … or the post office with an absentee ballot in hand) is the result of centuries of struggle by generations of Americans: those who risked execution as traitors to their King; those who were lynched as “uppity” for trying to exercise their rights; those who faced down billy clubs, fire hoses, and attack dogs on the Alabama asphalt; yes, even those who risk being turned away from the polls in six and half weeks. Sometimes, you have to exercise the right in order to honor the right. Continue reading I just voted! ✔ How about you?